Valentine’s Day is often celebrated by couples wanting to show their affection for one another through gifts. Last year, I wrote about being unique and creative by giving gifts from the heart in this post. To mix it up, this year I’ll be concentrating on more luxurious gifts from the area to give that someone special on February 14th. Ladies, you know what your guy likes. Chances are, he’s into cars, gadgets or sports. If you want to get him something that’ll give him bragging rights, consider one of these goodies. Monster Racing – Have your Valentine drive a Nascar race car on the Dover International Speedway’s Monster Mile. This is for guys who have the need for speed. It’s a two-hour drive to get there, but will be so worth it for an adrenaline junkie. Trenton Thunder Season Tickets – Get season tickets to the Trenton Thunder games or rent a suite for him and 24 of his best buds to watch the game in style. Humidor, Cigars and Cognac – Buy a Liebherr humidor form Mrs G’s, a box of Padron cigars from A Little Taste of Cuba, and a bottle of Quintessence de Léopold Gourmel – only one bottle available (or an XO) cognac from Witherspoon Wines (formally Community Liquors) for the ultimate male ‘after dinner’ experience. Phrog Personal Training – This isn’t your typical gym ‘membership’. Your VIP will work with a personal trainer every session at this luxury fitness studio. Brookstone Massage Chair – Placing one in his home office or in front of his flat screen TV will win you more points than a football game. Raritan Valley Flight School – Give your flyboy a gift that’ll have his head in the clouds. Lessons are conveniently given at the Princeton Airport. The Papery of Princeton – The Montegrappa for Ferrari collection roller ball pen has a race car red lacquer finish with sterling silver, and it’s presented in a beautiful red lacquered box. Perfect for Valentine’s Day. FYI: they only have one is stock. 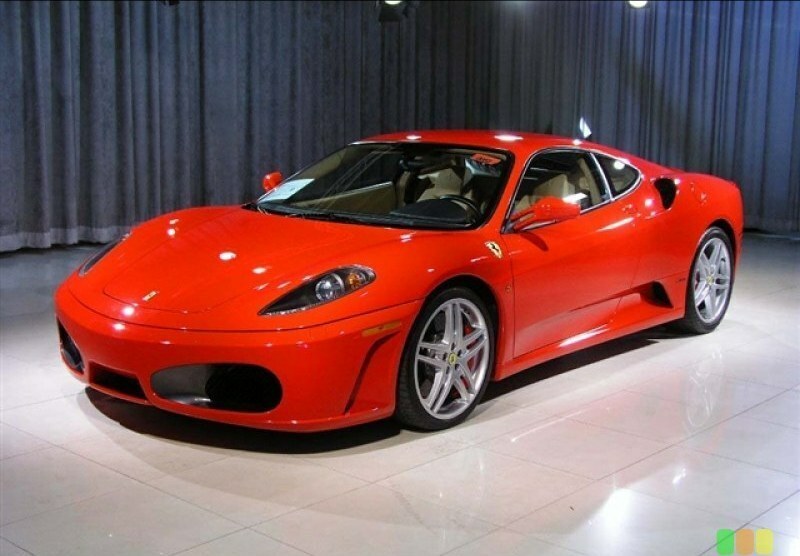 Exotic Car Rental of New Jersey – Rent a Maserati, Lamborghini, Ferrari, Maybach or Rolls Royce Phantom for your car fanatic. He’ll be totally psyched to cruise through town in one of these babies, and then let it rip on the highway. New York Camera of Princeton – Here’s a gadget the guys will love. The Canon 7D shoots excellent photos and HD video. Add the 24-70L/2.8 & 70-200L/2.8 IS lenses for some killer pro gear! This is great for low lighting and action shots including sports, as well as portraits and travel photos. Located at 173 Nassau Street in Princeton. Hamilton Jewelers – A fine timepiece is quintessential to a gentlemen’s wardrobe. The debonair character Tony Stark, from the movie Iron Man 2, asks for his Jaeger LeCoultre watch, which is a horological masterpiece. Some of them even reverse to a second face. Surprise your loved one with one of these very impressive timepieces. Gentlemen, I’m sure you understand that women love to be pampered, and treated like queens. These gifts will show her just how majestic you think she is. Vallerie Spa – Surprise your sweet with an Ultimate Renewal seven hour spa day package, including scalp treatment, spa pedicure, spa manicure, five element facial, customized body treatment, balneotherapy bath, hairstyle, makeup, and spa lunch. Other packages available. Princeton Concierge Services – If she has a hectic schedule, it would be nice for her to have a personal assistant to handle all of the “little things”. Romantic Staycation – A suite or room at the Nassau Inn, dining at Mediterra, elements or the Peacock Inn, a show at the McCarter Theater, and morning room service will have her smiling from ear to ear. Talk about some enchanted evening! Phrog Personal Training– Attach a note to the ‘membership’ gift certificate for your darling, indicating that she can now have a personal trainer just like the hollywood stars at this luxury fitness studio. Morven Museum & Garden – Women need other women to communicate with in a way that men cannot comprehend. Organize an afternoon tea and docent-led tour of the home on a Wednesday for your sweetheart and her closest girlfriends. Add a promise for a subscription to the McCarter Theater 2011-12 season (available in the summer). Christopher’s Kitchen – Every women will appreciate having a personal chef, whether it be for a few meals, a three-month service, romantic dinners or special occasions. Hunterdon Ballooning – Reserve a hot air balloon champagne flight for two. This will take your relationship to all new heights. The Mall of Short Hills Gift Card – Give her the gift of a shopping spree in one of the most exclusive malls in New Jersey. There is valet parking at the exterior entrances at Neiman Marcus and Saks Fifth Avenue, so encourage her to use it, as well as the personal shoppers in the department stores. Since she’ll shop till she drops, she’ll need a break to eat, so she can lunch at one of the restaurants. This will earn you a get out of ‘jail’ card! Norwegian Cruise Lines – Book a suite, which includes butler and concierge service, or balcony, on a one night cruise out of New York City on May 7, 2011. Dress up for dinner, and take her to the evening show followed by drinks, dancing, and some fun in the casino. Of course, morning room service would be in order. Include A-1 Limo round-trip transportation. Now that’s a date with style! Hamilton Jewelers – They say diamonds are a girl’s best friend, so this exclusive design by Hamilton will be her BFF! The heart-shaped necklace from the Lisette Collection weighs in just over 2 carats. There are also stud, drop earrings, and rings in the collection. Each stone is surrounded by diamonds, giving them extra sparkle! Available in 18K white gold or platinum settings, and colored stones. Reblogged this on Livingston Johnson.